I am charged with disobedience to lane change rule which is completely un-reasonable and not true so I want to fight traffic ticket. Driving on suspended license. Rushing home to get my wife to the hospital. She had complications after surgery. 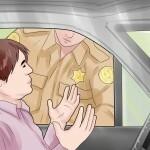 Have 2 traffic tickets that are payable but if I pay them my points will be taken need my license immediately due to my current employer has to have them. I was pulled over sometime ago for lack of insurance and i didnt go to court so i now have a a warrant first offense with driving with no insurance i believe but am not sure and dont want to go to jail so i need to know if i need legal aid before i put it back. I needed to get my kids from school so I got in the car to go get my kids and I have no license. My first time ever getting in trouble.I know it might be late but my court date is tomorrow.